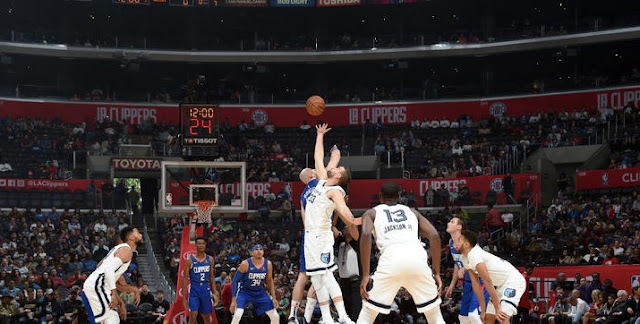 2018-19 Season Outlook: Who's the Alpha Wolf? Hurdles to attracting talent to your market -- climate, state income tax, non-bustling city life, etc. Managing all of this is a Herculean task, especially for someone who has never been in charge of personnel. Add “coaching the damn team” to the list of responsibilities, and the chances for success become pretty negligible. This is the uphill climb facing Tom Thibodeau and the Minnesota Timberwolves. What makes it more daunting is they’ve already jumped a number of the hurdles to contention, defying the odds of decades of organizational futility, and it STILL may not be enough to truly get off the treadmill of mediocrity and vault into the upper echelon of the league. Taking over the team in 2016, Thibs was of course fortunate in some ways. Yes, he took over a rotten team (29-53 in ‘15-’16), but it was a rotten team with a clean cap sheet, two consecutive #1 overall picks, and several other intriguing young players. The assets and the flexibility were already there; in short, it was a desirable job, despite the challenges of the market itself and the dual role working against him. Towns was the no-doubt, up-and-coming superstar. Wiggins hadn’t wowed anyone to that point, but he wasn’t yet the overpaid, semi-disappointing contractual millstone he currently appears to be. Kris Dunn, Zach LaVine, and Gorgui Dieng profiled as high-upside complementary guys with a lot of room for growth. And many people reasoned Thibs’, the purported defense whisperer, would undoubtedly mold all of this talented clay into an elite unit on that end of the floor. As we know, it didn’t exactly go that way in ‘16-’17. The team went 31-51 and had the 27th rated defense in the league. Yes, they endured a ton of tough losses, and their overall net rating was that of a team somewhat closer to .500, but this lack of “clutch” bona fides was basically portrayed by the media as a function of youth and inexperience, fair or not. In any case, they got monster offensive production from Towns, Wiggins, and LaVine, scored efficiently inside, and got to the line well, but still struggled because they couldn’t defend worth a lick and shot and made the fewest threes in the league. The future now somewhat murkier, Thibs pushed his chips to the center of the table. The trade for Jimmy Butler seemed, at first blush, to be an absolute no-brainer. NBA history suggests the team who gets the superstar in a superstar trade almost always wins, so dealing away Dunn, LaVine (fresh off tearing his ACL, no less), and the #7 pick on draft night for Butler (AND the #16 pick, a throw-in on Chicago’s part which felt confusing and unnecessary to me at the time) looked like a home run. And it kind of was. The team went from 31 wins to 47 and their first playoff appearance in more than a decade. Butler had two more guaranteed years on his deal at the time of the trade, so it didn’t strike anyone as a rental, but rather a smart, strategic move to get an All-NBA player in his absolute prime. Butler still couldn’t will the subpar defense into overall competence (their Defensive Rating was still 27th in the league overall in ‘17-’18, though they showed some improvement for a stretch midseason), but he played phenomenally for his new team for much of the year before being derailed by a torn meniscus in late February. But for all the team’s newfound success, it took a de facto play-in game in Game 82 of the year against Denver to clinch the West’s 8th seed, followed by a mostly dispiriting, though hardly surprising, gentleman’s sweep at the hands of Houston in Round 1. And just as quickly as the future brightened upon Butler’s arrival, once again it appears murky. It is safe to say the ‘17-’18 season killed off the prevailing “Timberpups” narrative for good. The hiring of Thibs’ presaged its demise, and the acquisition of Butler -- and to a lesser extent, Jeff Teague and Taj Gibson -- put the final nails in the coffin. A good number of the hurdles mentioned at the beginning of this long, winding intro have been cleared. The team has two frontline stars, along with productive veteran presences and young players with room to continue to develop. Depth and financial flexibility are sure to be issues, but those are cans to be kicked down the road for now. This is no longer a team where, if you squint hard enough, you can see the grainy outlines of a contender somewhere down the road. This team is built to win big and ascend the West now, and all the attendant expectations that come with it. Again, improving by 16 wins in a single season is truly commendable, and it somewhat undersells the actual improvement that occurred, since Butler missed 23 games during the regular season (the Wolves went 10-13 in those games vs. 37-22 in games he played, good for a 51-52 win pace if he plays the whole year). But even 52 wins doesn’t make them a contender in the brutal West, so where does improvement come from in ‘18-’19? The team is butting up against the luxury tax and is hard-capped this year due to the moderately baffling Anthony Tolliver contract, so financial flexibility is extremely limited. Additionally, all of their secondary assets (especially Wiggins, Teague, Gibson, and Tyus Jones) don’t have much in the way of positive trade value, if at all, and a team expected to win 50+ games can’t get a whole lot for its future draft picks, either. So as not to bury the lede any further than I already have, there is one additional challenge team brass has to deal with I neglected to mention at the outset: determining and managing roles and responsibilities of the players. NBA rosters are not flat organizations; there is a hierarchy that is vital to maintaining harmony and balance among the tribe, and this is often a difficult needle for coaches and front offices to thread. In addition to finding players with the correct sets of skills to occupy the various roles, they also need to be able to get those same players to buy into their roles in order to form a whole greater than the sum of its parts, and it’s a constantly moving target. What does this have to do with the Wolves? Possibly everything. The hierarchy requires an alpha dog (or Wolf, as the case may be), and you’d be hard-pressed to find somebody who would suggest the current alpha is anyone other than Jimmy Buckets. He clearly spent the first 15 or so games of last season feeling out his teammates, attempting to find his place within the hierarchy of the team. When it became clear to him he had to be the alpha for them to succeed, he took the reins and rattled off a stretch that had him garnering mid-season MVP consideration. That’s great, right? Of course you build your hierarchy around a guy who has MVP-level upside and is a ferocious competitor and defender. That’s the tone you want to set for your team. But it’s not entirely that simple. First, as a practical matter, Butler bears a huge minutes load (thanks, Thibs!) and his record of durability is not exactly spotless. If you employ Butler, you pretty much have to accept him missing 15-20 games a year, and removing his aggressiveness and ferocity from the lineup seemed to have a trickle-down effect on the rest of the team last season, which was borne out in their record without him. Second, there is the existential question about the roster as currently constructed. The healthy, engaged version of Butler is, by most any measure, somewhere between the 9th and 15th best player in the NBA. Obviously you’d rather have that player than not have that player, but the breadth of NBA history tells us pretty clearly -- with a few glaring exceptions -- if your best player tops out as 2nd/3rd Team All-NBA, you probably are not a true championship contender. This is not a shot at Jimmy in any way, but it is a reality which must be confronted. There is no “leap” coming from Butler. He’s about as good as he’s going to get. And this brings us to a guy we’ve talked about relatively little so far: Karl-Anthony Towns. First, a personal aside: I’ve been a fan of KAT from the start, and this is my origin story as it pertains to him. I try to watch at least a little bit of the McDonald’s All-American Game each year. As a competition, it’s obviously pretty dumb and pointless, and the stats don’t matter a lick. What I’m watching for is flashes, guys who stand out from their peers in some tangible way. Of course we can’t know exactly what a guy will turn into in 5-10 years, but I’m just looking for dudes with a star quality and/or some elite skill in their game. In 2014, I happened to turn the McDonald’s game on right at the beginning, as the announcers were doing their intro to the broadcast. Most of it was about Jahlil Okafor. He was the #1 recruit that year, and the announcers were quick to praise his blend of size, skill, footwork, and polish. The game started, and the rhetorical rose petals kept flying for Jah. To his credit, Okafor mostly lived up to the billing. He scored well around the hoop, moved well laterally and in transition for his size, and fortunately for him, his troubling lack of defensive acumen and effort wasn’t particularly noticeable due to the setting. He looked the part of an elite prospect, even if you had the game on mute, which makes his pro career to this point seem even more bizarre. But I digress. One thing that stood out to me was KAT’s presence on the defensive end. This is obviously an odd thing to notice in such a defense-optional game, but it was glaring to me at the time. He had several weakside blocks which highlighted his length, athleticism, and anticipation, and the few times he was matched up individually with Okafor on the block, Jah basically wanted nothing to do with him. He would receive the ball, size up KAT, and then passively toss it back out to the perimeter, almost like Jah knew something we didn’t all know yet. I certainly wouldn’t have faulted anyone for sleeping on him after seeing that game -- he was more or less invisible on the offensive end and the boards (it’s a little shocking watching it back now in retrospect how easily he gets pushed around underneath on rebounds, and how much it affected the timing of his jumps for such an athletic guy). But the lateral quickness, length, and feel for the game were evident if you watched closely. The seed was there, and obviously we all saw it sprout in his year at Kentucky and early on in his pro career. If it makes me a KAT hipster, so be it, but I was a fan of his before it was cool. Over the course of his first two-plus seasons in Minny, that defensive impact I spotted in the McDonald’s game (and which he showcased in his one scintillating-yet-also-bizarre season at UK) was nowhere to be found. His raw defensive stats and advanced metrics don’t paint him as an atrocious defender, but this is one way stats can be misleading (we’ll get to another shortly). Watching him actually play, he had the look of a guy going through the motions on defense, just waiting for the possession to be over so he could go to work on the other end. He alternately looked out of position, confused, like he simply wasn’t trying very hard, or some combination thereof. Even with the requisite level of effort, it often takes young players, especially bigs, several years to acclimate to the speed and precision of NBA offenses and to internalize the defensive schemes and rotations, to learn to react rather than to think. Anthony Davis is the obvious analogue here. He came into the league as one of the top defensive prospects of all time, another one-and-done, #1 overall pick from UK whose length, lateral quickness, and anticipation would warp the dimensions of the court on the defensive end from Day One. Guess what? That didn’t happen. New Orleans ranked 28th and 27th, respectively, in Defensive Rating during Davis’ first and second seasons. They improved to 22nd in his third season (no great shakes, but improvement is improvement), and Davis got named to his first All-Defensive team that year (adding two more since) as the Pels snuck into the 8th seed in the West before getting summarily waxed by a 65+ win juggernaut in the first round. The game slowed down for him, allowing him to internalize the defensive schemes and unleash his prodigious physical abilities in a more consistently devastating way. Minus the All-Defense nod, does this sound familiar? Towns was nobody’s idea of an elite stopper last season, but he clearly achieved a higher level of effort and focus during the middle of the season. He stopped gambling for blocks quite as much, stayed within the scheme, and improved in the pick and roll, peaking with a tidy-for-him 105 Defensive Rating in the month of December, not coincidentally the Wolves’ best month of the season by record and net rating. This coincided with the timeframe in which Butler began to assert his control over the offense, so there is certainly a correlation between KAT settling into a secondary offensive role and his increased intensity on defense, but the extent to which one impacted the other begins to wade into a subjective narrative territory I’d rather avoid. In any case, I still believe there is an elite defensive player inside of Karl-Anthony Towns, and the next step in his development at that end of the floor could be the single biggest factor in whether or not there is untapped upside for this year’s team. The offense will still be elite, but another bottom-third finish on defense simply isn’t going to cut it. When we factor in the offensive end of the floor, it’s not too difficult to craft an argument that Towns is already the Wolves’ best player [WARNING: misleading stats ahead]. On offense, Towns is the hyper-efficient, versatile modern big man you’d build in a laboratory. He shot 55/42/86 in ‘17-’18, with a True Shooting % of .646, good for 9th in the NBA, and the only player ahead of him who took a higher volume of shots was Steph Curry, so...yeah. His net rating was the highest on the team, barely edging out Butler (net rating is noisy, so take it with a grain of salt, as the presence or absence of one guy on the court impacts the net rating of the other and vice versa, among other variables). Both Towns and Butler were voted 3rd Team All-NBA in ‘17-’18, but Towns rated more highly by most rate-based advanced value metrics: PER (24.9 for KAT vs. 23.7 for Butler); Win Shares per 48 Mins (.230 vs. .198), and Box Plus/Minus (5.5 vs. 5.0). By almost any measure of efficiency you can cook up, Towns is Butler’s equal if not his superior. Usage is certainly an imperfect measure of “alpha-ness,” but as a convenient shorthand, it paints a useful picture here. At the outset of the season, Towns was the offensive hub, but as the year progressed, Butler gradually wrested control of the offense, with the biggest delta coming in January. That month, Towns only used 20.6% of the team’s possessions, and he scored only 18.6 ppg, his lowest mark in any month. However, all his rate stats are right in line with the rest of the season, and he posted an Offensive Rating of 130, still an elite mark. On a related note, the team went 9-8 in January, though to be fair, Butler missed 4 games, during which the team went 2-2 against a tough slate (vs. TOR, @ LAC, @ POR, @ GS). In those 4 games, Towns averaged only a shade under 12 FGA per game as the team rode one of Andrew Wiggins’ far-too-infrequent hot streaks (he averaged 25.1 ppg on 21 FGA/game during the stretch). When Butler tore his meniscus in late February, Towns picked up the mantle of the offense again, posting his most prolific offensive month of the year in March (25.7 ppg on 17 FGA/game and a 26.1 Usage Rate in 13 games), but the defense cratered and the team struggled to a 6-7 record. It should come as no surprise having Butler in the lineup is preferable to not having him, but the question can still fairly be asked: is having Butler as the alpha dog the best path to success for this year’s team? One thing is clear: this team cannot reach its ceiling with KAT having a lower Usage Rate than Andrew Wiggins and a beyond-washed Jamal Crawford (or whoever replaces his spot in the rotation). He must attempt to maintain some semblance of his phenomenal efficiency while taking on a larger share of the offense, regardless of Butler. The challenge is figuring out where the inflection point is at which it goes from being “Jimmy’s team” to “KAT’s team,” and if that’s a desirable outcome. To reach the team’s potential, it seems like it has to go this way, that KAT needs to take another leap forward into Unibrow territory within the league hierarchy for Minnesota to be taken seriously as a contender. If Towns takes Butler’s place in those midseason MVP discussions (and to a lesser extent, Wiggins manages to make at least somewhat good on his absurd contract), then you have something interesting. Is there a world where Towns averages 27/13/4 and anchors a top-12 defense? Sure, I don’t see why not. But is Butler down to be part of that world? At long last, we come back to Thibs, who faces the challenge of managing not just the X’s and O’s, but also the egos and roles of his guys. Butler is, by all accounts, a ruthlessly competitive dude, and a faithful disciple of Thibs’ hardscrabble approach to coaching, so if anyone can get Jimmy onboard with accepting a lesser role in the service of winning, it’s Thibs. But this is still a superstar player we’re talking about, who is a year away from a monster payday in free agency -- not to mention his ability to exercise his “pre-agency” (h/t Bill Simmons) before then if he so chooses. The promotion of KAT to alpha status absolutely has the potential to tear apart a locker room which already seems to be showing significant signs of strain. It has been widely reported Butler is both displeased with the effort levels of Towns and Wiggins (remember, he’s ruthlessly competitive and cannot tolerate less from his teammates) and is invested in the idea of teaming up with Kyrie Irving in future seasons, either via a trade to Boston (unlikely) or having both guys opt out of their deals next offseason and team up somewhere else through free agency. This sounds bleak for Wolves’ fans either way, but doesn’t that mean the catch-all solution is for KAT and Wiggins to bust the doors off the ‘18-’19 season, lessening Butler’s burden and making it seem like a place where he can win? And to do that, doesn’t the team have to empower KAT to be the very best version of himself? What is the upside of letting a pissed-off Butler run roughshod over the organization (and possibly demand a trade or simply leave in free agency anyway) in the service of winning 50 games and losing in the first round of the Playoffs, at best? The only logical paths are to trade him sooner rather than later to maximize his value (a ship which may have already sailed since now he’d be a rental, even if another team thinks they can pull a Paul George with him), or to convince him this roster is on the same page with him and ready to win big. It’s a gamble either way, but such is the nature of superstar agency in today’s NBA. Buy the ticket, take the ride. Of course, Thibs the Coach is the confounding factor here. His history suggests he will likely dig in his heels and double down by deferring to the veteran player over empowering the young guys. The devil you know and all that jazz, but to quote Sam Presti quoting A Tribe Called Quest, “scared money don’t make none,” and no disrespect to Thibs, but he’s always kind of been a “scared money” coach (hi, Derrick!). So all of these hypotheticals probably get thrown out the window, and they run back some version of what we saw in the middle of last season, with perhaps a bit more usage funneled towards KAT. In that scenario, which is more likely: 1) Butler stays healthy all year, KAT blossoms as a defender, Wiggins makes strides on both ends, and a 55+ win powerhouse emerges; or 2) Butler drags the team along while playing hurt, becomes even more resentful of his “entitled” teammates, and a chemistry-induced meltdown takes place, causing the team to miss the Playoffs entirely in the loaded West and Butler to leave in free agency for nothing? Even if the most likely outcome lies somewhere in the middle (as is usually the case), the former scenario feels like the only way to keep the core of this team together long-term, and there’s a saying you might have heard about doing the same thing and expecting different results. 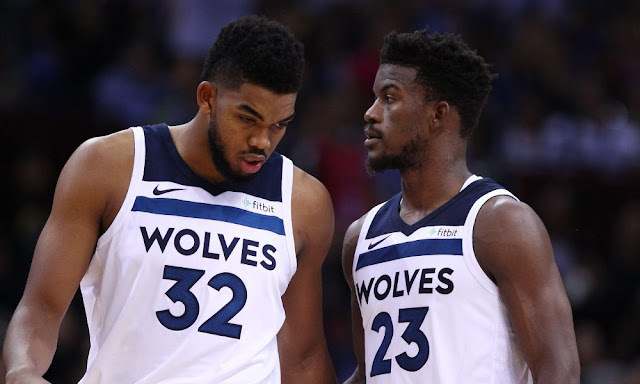 Jimmy Butler is who he is at this point of his career, and the team is capped out for the foreseeable future, so if there is a next level for the franchise, it hinges on Towns ascending to The Special Place sooner rather than later. And if Thibs wants to maintain his stranglehold on the organization, he better realize there’s no time like the present.